In this article’s image you can see the thread drawing lever, which I colored orange. The spring that holds the thread drawing lever up off the hook is colored magenta. The spring is actually hard to see, and if it is broken or missing, you may just see a little hole where the spring is supposed to attach to the thread drawing lever. 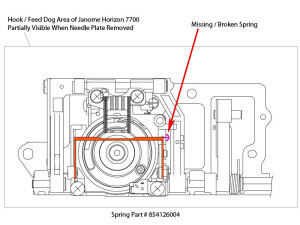 I’m not really sure what the thread drawing lever does, but almost all Janome sewing machines have this lever. 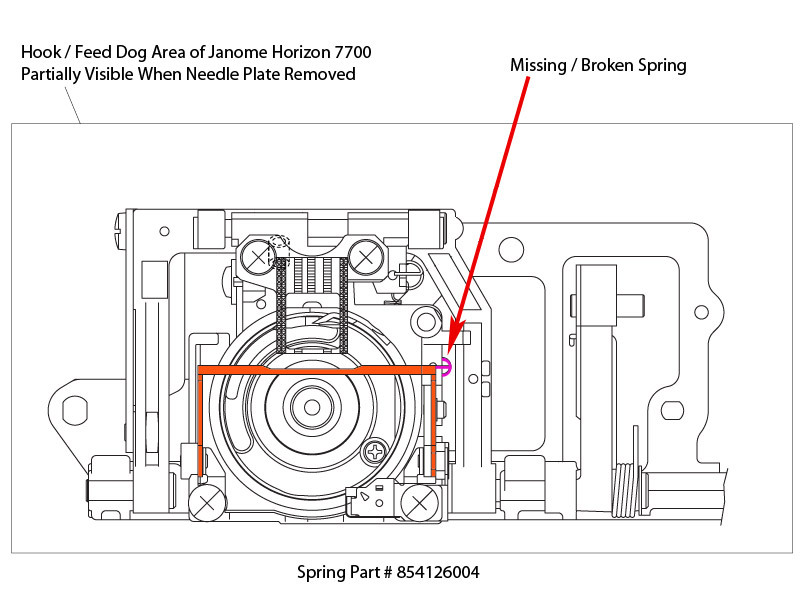 Because of that, this problem may not be isolated to just Janome Horizon machines. If you have a machine where the thread drawing lever is laying down on the hook, you should bring it in for repair.